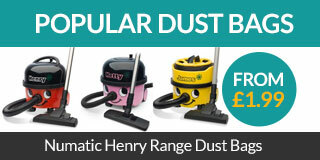 To repair or replace parts of your vacuum cleaner you might need specialist tools for the job. At Appliance Spares Warehouse we provide a range of repair tools for vacuums, for both professional and home use. Whether you need to replace a belt or remove a switch, we have the product you need to do it with ease. Repair tools are manufactured by our very own Qualtex brand, for quality at a low price. We ship items on a daily basis from our North East England warehouse. 15 and 22mm heavy duty copper pipe cutters. Supplied with a replacement spare blade. ..
A handy tool for removing the switch cover on Dyson DC04 model vacuum cleaners to enable access to t..
Dyson belt fitting tool to aid replacing your Dyson vacuum cleaner belt. Make changing your Dyson va..
Easy to use locking feature, Thicker dipped handle for greater comfort, Muli angle access, Makes rem..